A few days ago I had a hankering for tuna fish, again. But, the usual old sandwich sounded a bit boring. So, I remembered seeing an ad for Old El Paso soft flour taco bowls and decided to try some. I stopped by our Maryville Hy-Vee store to pick up a package. I decided I would make tuna boats for lunch today. I had most of the other ingredients I needed from a previous shopping trip: red and green bell peppers, Claussen Hearty Garlic Deli Style pickles (in the cooler by the lunch meats), a red onion, Nature Sweet Cherub tomatoes, fresh cucumber, Miracle Whip, and some lemon pepper seasoning and garlic salt. I diced up about a tablespoon of each of the pickles, bell peppers, red onion, and the cucumber and added them to a bowl, except the tomatoes, which I halved. I added a 2.5 o.z. packet of tuna fish to the veggies and 2 tbsp of the Miracle whip, adding a dash or two of lemon pepper seasoning and some garlic salt. Stir, stir, stir, and then divide in half and add to the soft flour taco boats. You could add other stuff, like shredded cheese, or put a leaf of lettuce under the tuna mixture, but I decided not to do so for this launch. 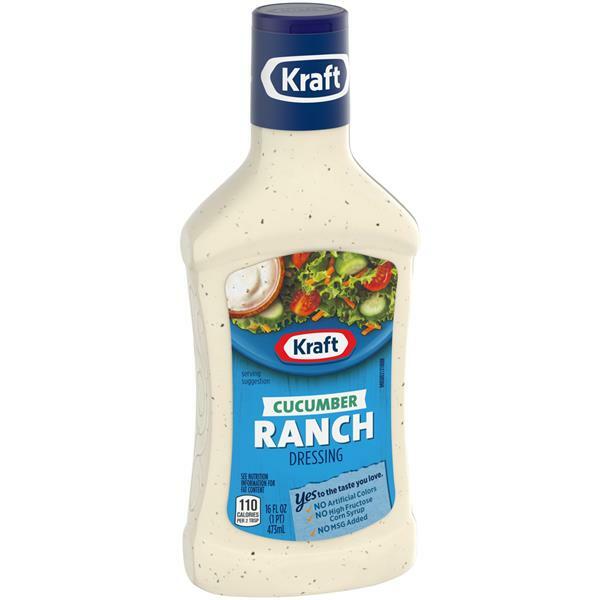 You could also leave the tuna naked and just drizzle Kraft Cucumber Ranch dressing over everything, if you don't have the Miracle Whip. I've tried the tuna mix that way before and it tastes great. 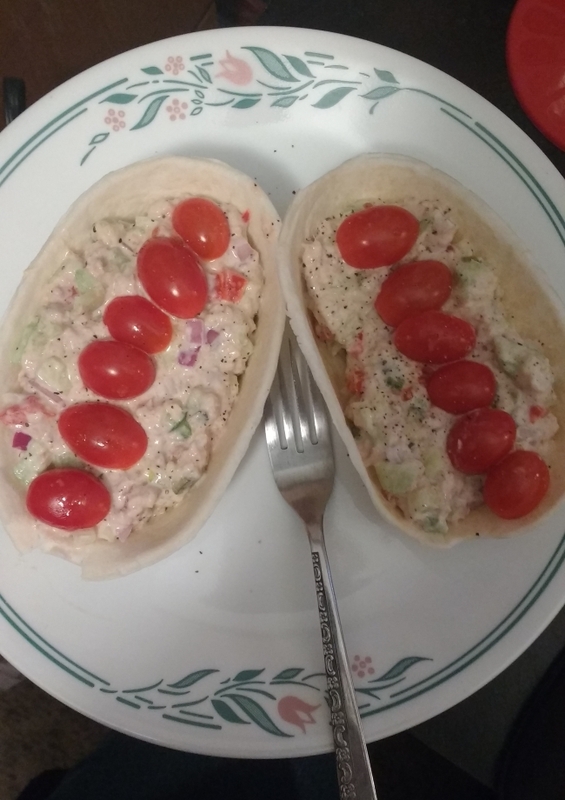 After the tuna mix was in the taco boats, I topped each with three halved grape tomatoes, and sprinkled on a bit of black pepper. There you go. Tuna boats for the eating. With the added ingredients, there's enough for two. Grab a fork, just in case. While you can pick these up and eat them with your hands, they get a little mushy. If you want to crisp the bowls up before you add the tuna mixture, you can pop them in a toaster oven or regular oven on 200 degrees for 3-5 minutes, depending on how crunchy you want them. Watch them carefully so they don't burn. If you have a set of the tortilla bowl pans, like these, you can use the Old El Paso soft flour tortillas and make your own bowls, too. You can get a set of two through Walmart or get a set of four through Amazon. Either way, the tuna boats are going to be tasty. *Note: I am not an affiliate of any of the products linked on this page, nor of the retailers of the products. Just sharing the boat project. Maybe I Should Have Skipped The Workout?